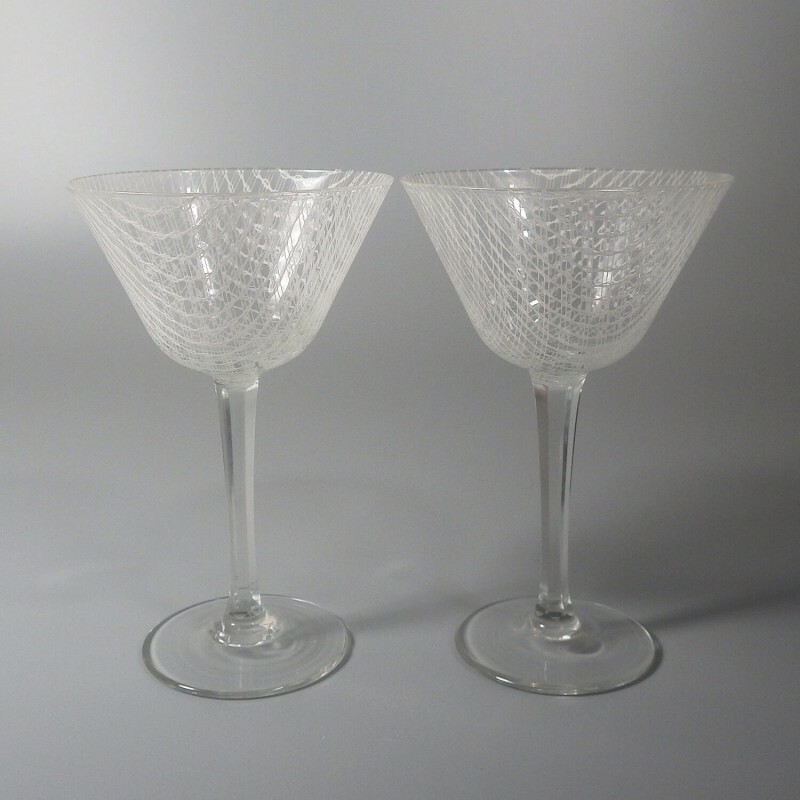 Pair of vintage Harrach Czech Bohemian glass Merletto liquor cocktail glasses from the Harrtil line, designed by Milan Metelák and made by the Harrachov glass factory in/around the 1950s. 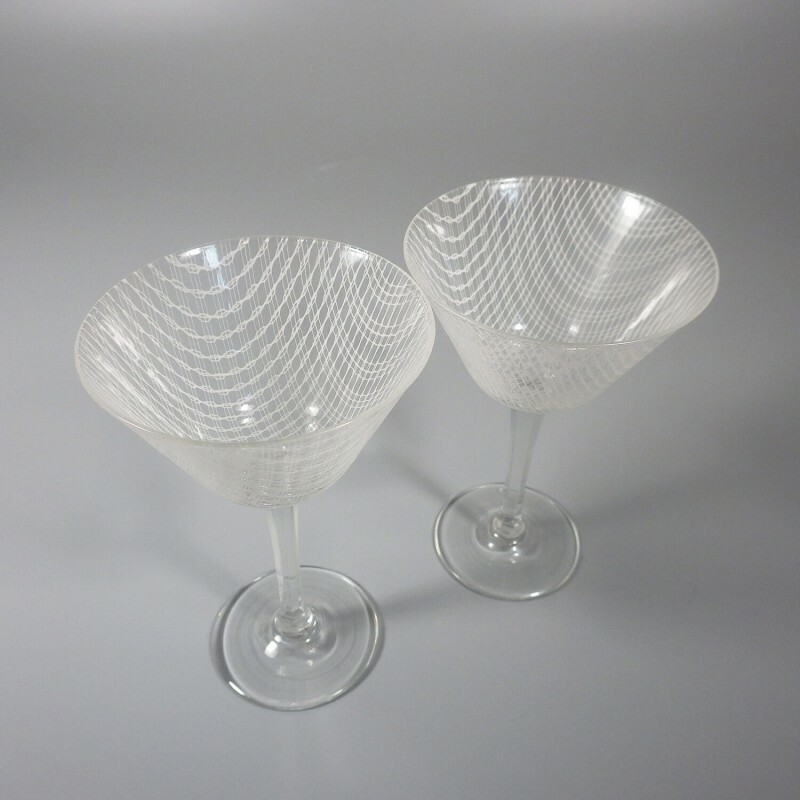 With thin white merletto threads woven in a lattice pattern, the delicate fibers are then encased in glass. 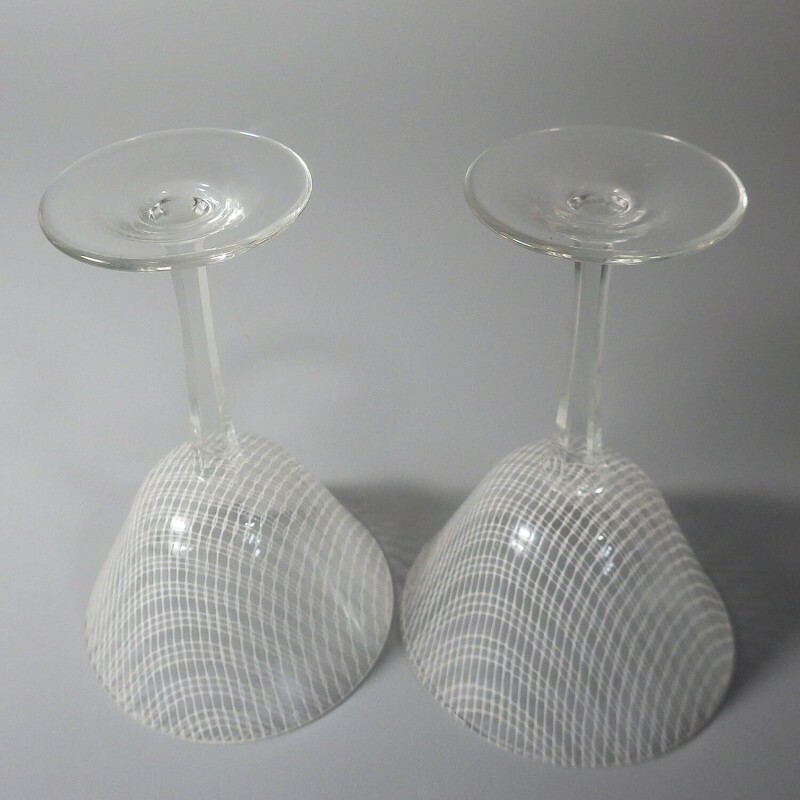 These liquor cocktail glasses have a six-sided stem and stand approx. 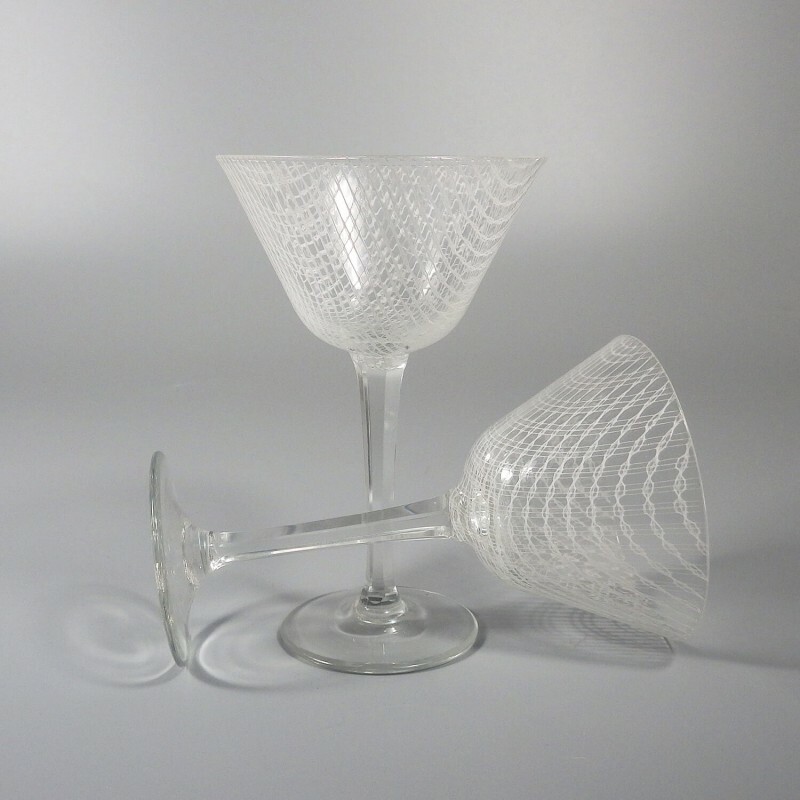 5-1/8 inch high and have a rim diameter of 3-1/4 inch. Liquid capacity is approx. 3 ounces (1/3 cup with room to spare).